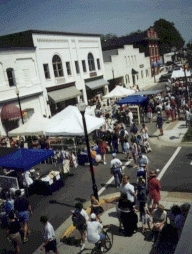 Downtown Apex, considered one of the most intact turn-of-the-century railroad towns in the area, received official designation as a Historic District in 1994. The Downtown Historic District has commercial/residential buildings dating back to the late 1800"s which represent a large variety of architectural styles. Many buildings are listed in the National Register of Historic Places. The Apex train depot, built sometime between 1867 and 1873, is designated as a Wake County landmark. The depot location marked the highest point on the old Chatham Railroad. An old caboose has been added to the site and serves as a historical museum. 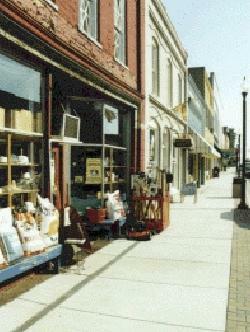 For information about a walking tour highlighting the Historic Downtown District, contact the Apex Historical Society.